Getting dishes from your favourite restaurants delivered to your door is becoming easier and easier with food delivery companies emerging in major cities across the country. Berlin-based company Foodora entered the Canadian market in 2015 with it's launch in Toronto and Montreal, followed by expansion into Vancouver last year. 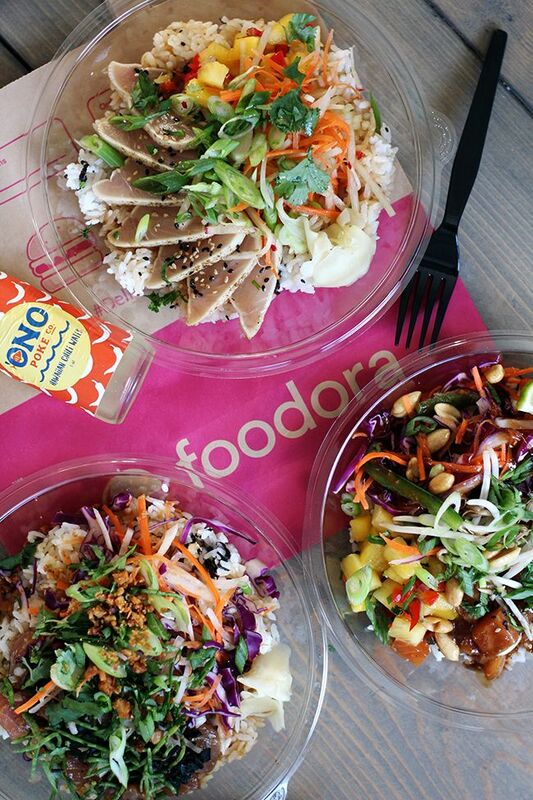 Earlier this month Foodora brought it's on-demand food delivery services to Edmonton, Calgary, and Quebec City. 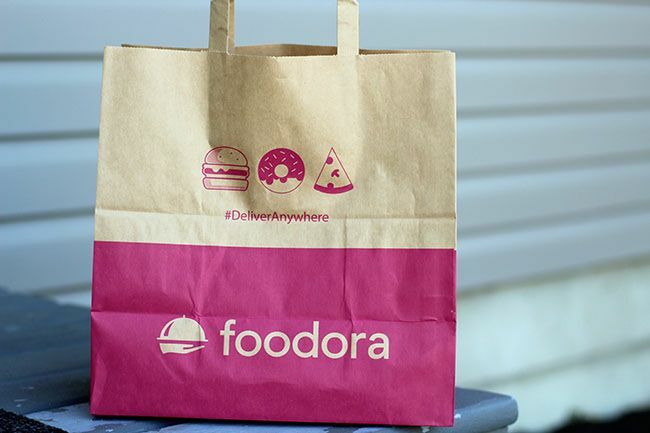 Similar to other food delivery companies operating in Edmonton, orders are placed through to restaurants using Foodora's user-friendly mobile app. The company takes pride in partnering with restaurants to deliver food to your doorstep in 35 minutes or less via car or bicycle. It's great to see that their delivery service is environmentally conscious! While there is the option to place and pick up your own orders, most customers opt for delivery. There is the option to have an order sent as soon as possible, or you can schedule for a delivery time convenient for you. Order placement and payment processing are very straightforward, and you can track the progress of your order through the app. 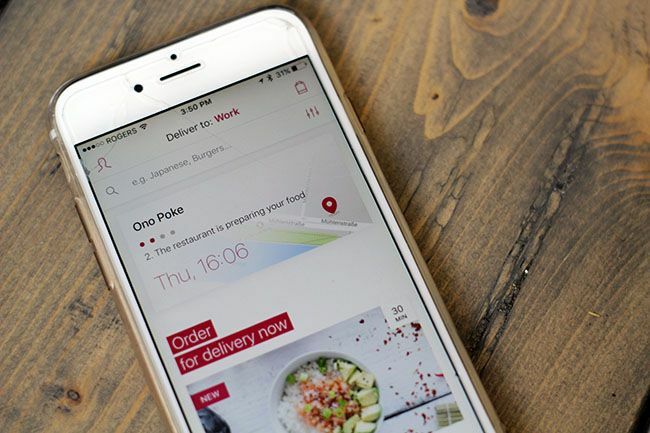 Your delivery is updated in real time, so you get a true sense of when you'll be digging into your delicious meal. I gave the app a try with an order from Ono Poke one evening and everything went smoothly. The food arrived fresh and within the estimated timeframe, and I would definitely use the service again. The only downside is that Foodora has a relatively narrow area that they will deliver to within Edmonton (North to 153 Ave, East to 75 Street, South to the Anthony Henday and West to 119 Street). I am hoping to see their delivery services expand, as I currently live outside of their delivery zone and instead get my orders delivered to my workplace. 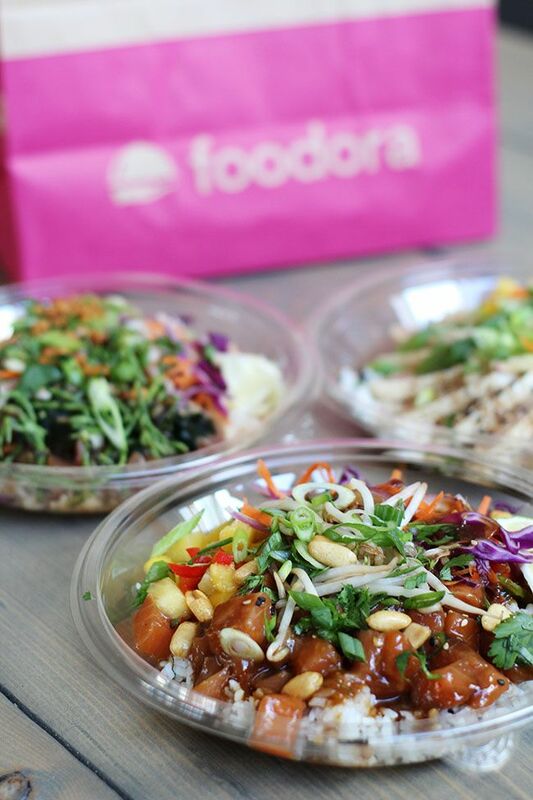 In celebration of their launch in Edmonton, Foodora is offering free delivery on all orders placed through to December 31st this year. If you ask me, it's a win-win when you get food from your favourite restaurant delivered for free! For $10 off your first delivery of $20+, click through my referral link and sign up. As an additional perk for my readers, Foodora has also offered for me to give away $50 to one reader to use for food delivery. Head on over to my Instagram for all the details. Happy ordering! *Disclosure: I was contacted by Foodora to partner for a blog review. Views expressed in this post are solely mine. This post is 100% my opinion, and as always, my priority is to you, the reader, to present an unbiased, thorough review. Yummy! Love the colors in those bowls! I've yet to try any food delivery apps because the popular ones don't deliver to my area but there's another one that just started that does!